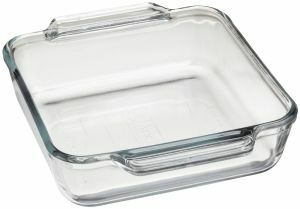 Baking Dishes are made of heat-resistant glass and are usually round, square or rectangular. Used for baking cakes and other desserts, they're also perfect for lasagna and other main dishes. Also see Baking Pan, Ramekins, Removable Bowls.